Homeschoolers, pay attention! This is by far the most important French lesson you will ever have. 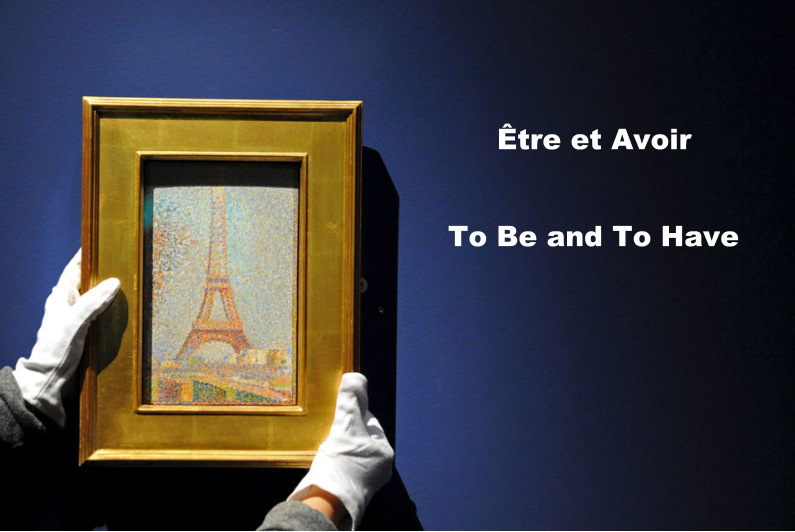 Without the present tense for être and avoir, the most used and most irregular verbs in French, you will not go anywhere. Period. Without these two verbs, you cannot express anything like “I’m hungry” or “I am twelve.” Moreover, you cannot even come close to “I have eaten” or “I have gone.” You see, être and avoir play the role of auxilliary verbs to express le passé composé (the most common French past tense). Sorry, no shortcuts to greatness. This one must be memorized. Take five minutes in your homeschool schedule and go through these daily. vous êtes [voohz-eht] – Notice how the s sounds like a z and it connects the two words. Most words ending in s in French will connect audibly as a z sound to the next word, if the latter begins with a vowel. ils sont / elles sont [eel sohn] / [ehl sohn] In case you don’t know, n is a very nasal n sound. C’est tout. That’s it. Memorize these two verbs until you know them like the back of your hand. They will serve you well for the rest of your French lessons. The more you practice, the easier it will be to build on this foundation. For other French Friday posts, click here. Happy homeschooling!